According to a press release we have received from Activision Blizzard the recently released Call of Duty: WWII is a rip-roaring success. Point by headlining point; it sold over $500 milllion worldwide over its opening weekend, it sold twice as many units in the same period as Call of Duty: Infinite Warfare last year, it provided Call of Duty's highest total connected users on current generation consoles and PC, and it broke digital full game day one sales records on the PS4. The scale of the $500 million in sales is put into perspective by a timely comparison with other entertainment industry earnings. The income generated eclipsed that of the combined theatrical openings of Thor: Ragnarok and Wonder Woman. 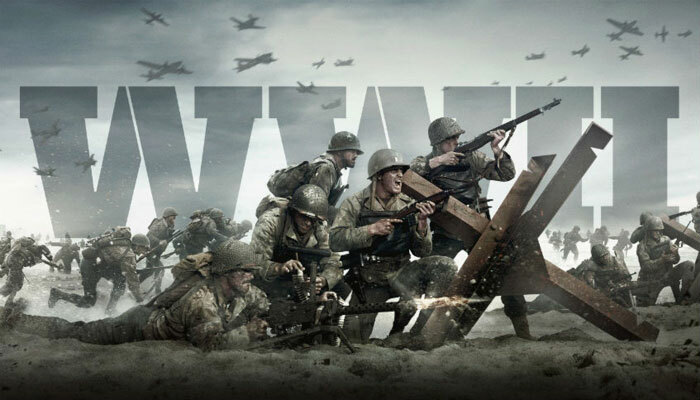 Talking further about the success to the new game the CEO of Activision, Eric Hirshberg, said “Call of Duty: WWII returns the franchise to its roots and the results are incredible.” He added that the developers are “committed to supporting the community with continuous improvements and new content”. Reviews of the latest CoD game have only just started to be published over the last couple of days. Fellow UK-based tech site Bit-Tech just published its full review yesterday, for example. In his review, Jake Tucker described how Call of Duty: WWII delivers “a superlative campaign that tells a meaningful story without glamorising the war or getting lost in just how vast it all is”. He concludes that it will be ranked as a ‘great’ among CoD games released since 2007. The single player campaign is highlighted as intelligent and unflinching while the multiplayer and zombies modes are still there for those that love to indulge in these modes. Ive really enjoyed the campaign - its a return to form imo and is a great interactive movie. Thats what I expected and what I got, so i'm happy. It's not particularly clever, not at all difficult, and you are guided every step of the way..but i've enjoyed that about the recent COD games really. Zombies is also really fun and one of the best of the recent COD iterations, even in solo mode.. This is definitely a “rent” or buy on sale game - not one you want to buy and keep! Glad to hear the single player campaign is good. I'll save this for my >£10 list as loot box multiplayer is of zero interest to me. Did the same with COD:IW/COD:AW and really enjoyed the campaigns even if they where a little predictable.